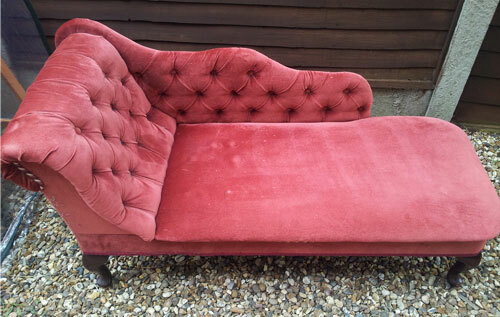 I was kindly given this chaise longue by my mother-in-law as she no longer had the room for it. I’ve always wanted one and thought it would be a good challenge for my next upholstery project. 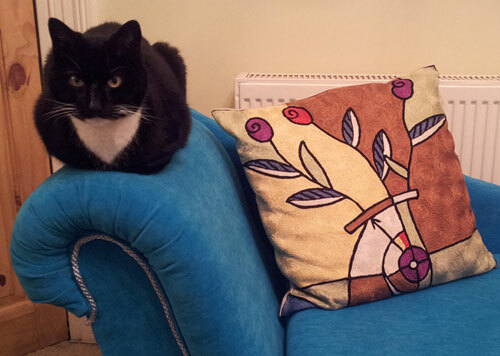 The fabric and foam were in a poor state (and had lovingly been used as a scratching post by the resident cats!). I found the most challenging part was removing the old fabric and foam. It’s a repro piece of furniture and had literally been stapled within an inch of its life. It took me weeks to get it back to the basic shell. Luckily for me the piece of furniture was bolted together, so came apart easily leaving me with a base, back rest and arm rest – and thankfully no springs or buttons to deal with (I’ll be happy to tackle these skills later on but not for my second project). 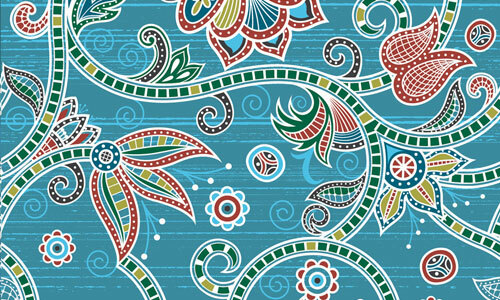 I bought some lovely turquoise velour fabric from ebay and used the old fabric as a template. I bought some new thick foam (6″ for the base and 2″ for the back and arm rest) and rebuilt the chaise in a couple of days. Here’s the finished result. 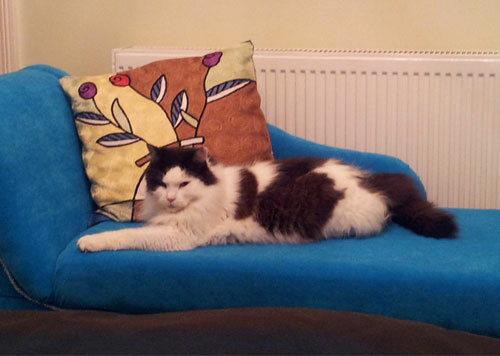 This is now being lovingly used by our resident cats! 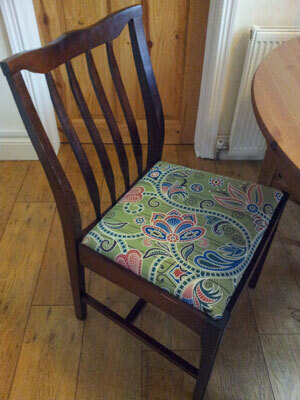 Having completed an intro to upholstery course at The Good Life Centre, I was itching to have a go myself. We needed some decent dining chairs (to replace the folding Ikea chairs we were using) and I found some good quality Stag chairs in a local charity shop for a real bargain. 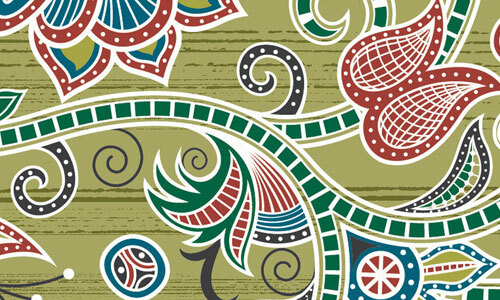 Rather than cover them in shop-bought upholstery fabric I opted to create my own design and get that printed. I did two colour-ways with the idea of having two blue chairs and two green chairs, got a metre of canvas printed by bagsoflove.co.uk and cut this into four pieces. 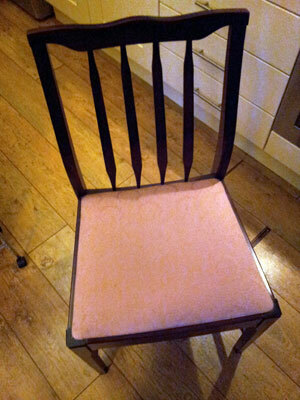 The original chairs were looking tired and in need of some tlc. The base of the chairs were held in place with four screws. Once all the foam and fabric was removed I was left with a flat hardwood base. I bought 1″ foam from my local upholstery shop, which I fixed in place with upholstery spray glue and used a staple gun to attach the fabric. 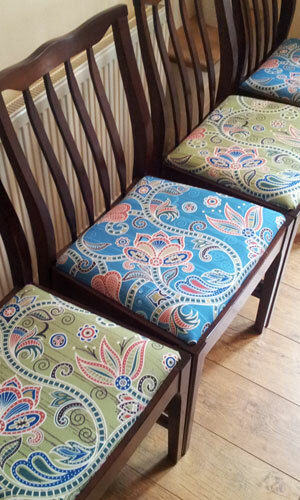 These are the finished chairs, which are a colourful addition to the kitchen and are really comfortable too. 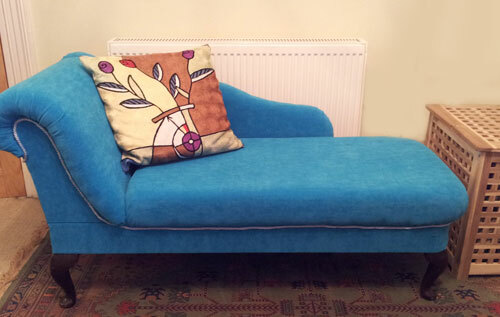 I’d been given a chaise longue to re-upholster and as I’d not attempted any upholstery before I decided to look for an intro to upholstery course. I found a really good one at the Good Life Centre in London, that aimed to demistify upholstery for beginners. 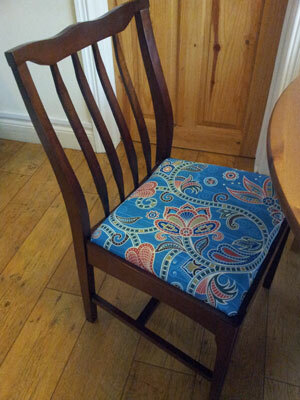 I attended the one day course, taught by practicing upholsterer Rachael South, and she covered all the basics. 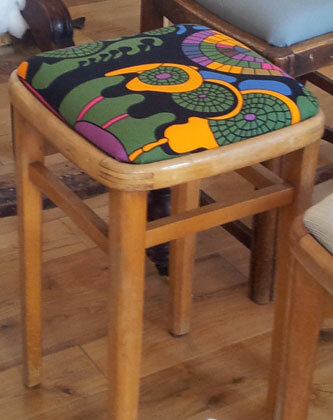 It was a really fun day and this is the stool I reupholstered.